Expectations for USC football are always skyhigh, but last year's hopes seemed even higher. Behind the arm of Heisman candidate Cody Kessler an extremely talented USC team was bound to return to college football supremacy with a great offensive mind leading the charge at head coach. However, things unraveled quickly; the team struggled early and Steve Sarkisian's alcohol abuse became nationwide news before AD Pat Haden decided to let him go. Kessler had a wild season and interim coach Clay Helton stared down a pretty daunting schedule. Helton was able to right the ship enough that the Trojans finally conquered intercity rival UCLA and won the Pac-12 South. A loss in the Pac-12 Championship and a Holiday Bowl defeat at the hands of Wisconsin put a damper on things, but it was still a great performance from Helton. Learning from his mistake of not hiring an interim coach that had succeeded (Ed Orgeron in 2013), Haden decided to name Helton USC's new head man. Helton will once more have an extremely talented roster at his disposal, but getting all the pieces to fit right will be the challenge. Backfield: A three-year starter, Kessler moves on, which isn't the worst thing in the world. Certainly Kessler was a great player but he too often clashed with Sarkisian and was never able to take USC to the top. Expect junior Max Browne to the leading candidate to take over the quarterback job. Browne is a former high-profile recruit who has waited patiently for his opportunity. Browne possesses a great mind and feel for the game, and has shown progress throughout his time with 'SC. Helton will not ask the quarterback to do to much, especially considering the other talent that is around in the backfield. Redshirt freshman Sam Darnold will pressure Browne, however. Darnold impressed coaches in practice as a redshirt in 2015, and has excellent dual threat abilities. Sophomore running back Ronald Jones II is back after a huge freshman campaign that saw him run for 987 yards and eight touchdowns. Jones broke Charles White's USC freshman rushing record and averaged 6.5 yards a carry. He showed tremendous burst mixed with excellent vision, and ran all over a Pac-12 not known for its rush defense. Jones will be supported by senior Justin Davis, who technically got the bulk of the carries last season. Davis ran for 902 yards and seven touchdowns himself last season, and while it is easy to get excited about Jones and his vast potential, Davis does play a very important role. The veteran is important in short-yardage situations and as a blocker and is a great runner himself, boasting a rushing of over five yards in 2015. It will be interesting to see how first-year offensive coordinator Tee Martin utilizes the talent at running back. USC traditionally has been a pass-first offense, but Helton and Martin could favor a pro-style, balanced attack that fits Browne's skills and gives Davis and Jones plenty of opportunities to do damage. Receivers: Few programs in the country produce the talent USC does at receiver. Over the years, the Trojans have sent an abundance of playmakers at the position to to the NFL, including Nelson Agholor, Marqise Lee, Robert Woods and further back, Dwayne Jarrett, Steve Smith and Mike Williams. The next in the long line of USC receivers off to the NFL is clear: junior JuJu Smith-Schuster. Smith has already established himself as a star, but he could be even better in 2016. He had 89 receptions, 1,454 yards and 10 touchdowns a season ago and was consistently breaking games wide open. 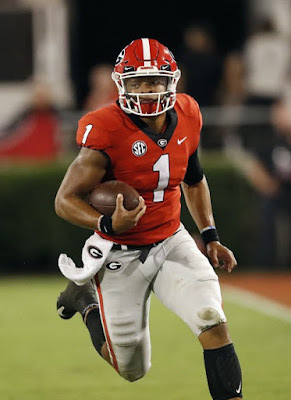 Smith-Schuster benefited greatly from having Kessler at quarterback, as his huge arm fit perfectly with Smith-Schuster's speed and home run ability. Browne nor Darnold have Kessler's arm, but they will still find ways to get the junior the ball and let him make plays. Also back are a number of quality veterans that will play important roles. Junior Steven Mitchell Jr. and senior Darreus Rogers both are high quality receivers that will not only make plays but help take the attention off of Smith-Schuster. Rogers had 289 yards and three scores a year ago, while Mitchell added 335 yards and four scores. Both should find ways to use their speed and reliable hands to make plays all over the field. Expect bigger things from senior De'Quan Hampton, who was okay a season ago, but should improve quite a bit. Hampton is 6'4", 220 pounds and uses his wide, athletic frame to make some tough plays. Hampton could become one of Browne's most reliable threats in the red zone, along with tight end Taylor McNamara. McNamara had just 12 receptions in 2015, but managed four touchdowns, doing his work almost exclusively in the red zone. McNamara is great at finding soft spots in coverage and has good hands for his position. Newcomer Tyler Vaughns is another player certain to get some targets from Browne. The prospect out of La Puente, California is rated as a five-star pickup by Rivals and four-star by 24/7 Sports. Tee Martin is known as a fantastic recruiter and managing to land Vaughns and four-star Trevon Sidney (also from La Puente) was extremely impressive considering the chaos USC went through this past season. It will be interesting to see how much Adoree' Jackson plays receiver this year. Jackson is most known for his cornerback skills (we'll get to that) but spent some time at wide out last season and proved he was a fantastic playmaker. With how much depth and talent already exists at the position, don't expect to see him too much but the Trojans still could use the junior in some packages. Offensive Line: Only helping out the rich talent that USC has at running back and Browne will be one of the Pac-12's best offensive lines. The Trojans will be without center Max Tuerk, but in retrospect, it isn't a huge loss. Tuerk, a center, was a longtime staple to the unit, but also missed a lot of time due to injury, and USC has talent ready to take over up the middle. Junior Khaliel Rodgers is the most likely player set to take over center duties. Rodgers has good size and footwork and will work hard to form some chemistry with Browne. Under Sarkisian, USC rarely, if ever, took snaps under center. Under Helton and Martin, they'll change things up quite a bit, which will give Rodgers different responsibilities than Tuerk had. While Rodgers will play a pivotal role, the star of the unit resides at right tackle, senior Zach Banner. Banner is a former big-name recruit (like so many of these Trojans) who finally saw action last year and did not disappoint. The phrase "gigantic" certainly applies to the veteran, who towers over even large defenders. He is 6'9", and weighed in at over 360 pounds this spring. Despite that massive size, Banner still moves pretty well, and defenders won't be able to get past him solely on speed. USC is locked in at both guard spots, with two high quality linemen slated to start. Junior Viane Talamaivao is likely to join Banner on the right side of the line, while junior Damien Mama starts at left. Talamaivao is a hard-working, gritty guard, while Mama is a talented run blocker. Both will play important roles this season. At left tackle, senior Chad Wheeler is the likely starter, giving USC great stability on the perimeters. Helton and staff landed a number of solid offensive linemen in the Class of 2016. Four-stars like Frank Martin and Nathan Smith will fight for snaps, but have bright futures with the Trojans. Defensive Line: USC's defensive line was among the Pac-12's deepest, and most experienced. That means there was plenty of graduation this past offseason, leaving the D-Line depleted. Guys like Greg Townsend and Antwaun Woods were disruptive forces, and should get to the quarterback. USC is counting on a number of defenders to step up, particularly end Porter Gustin. Gustin played a good amount a year ago and delivered as a young end. 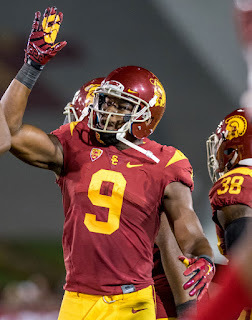 Now a sophomore, Gustin is USC's leading returner in sacks, with 5.5. He bulked up this spring and should look to become a more complete defensive linemen in 2016. First-year defensive coordinator Clancy Pendergast runs a 5-2 scheme, meaning that a number of other defensive linemen will have to play increased roles. Jabari Ruffin is a solid linebacker, but will most likely play a hybrid end role this season. Ruffin has always had the talent, but injuries and talent around him have slowed down his opportunities. Up the middle, USC possesses a lot of talent, but not much experience. Sophomores Noah Jefferson and Jacob Daniel are the favorites at the tackle spots. Jefferson is a good athlete that could become a dangerous pass rusher, while Daniel makes plays. Jefferson showed his potential last year with 23 tackles despite limited snaps, but Daniel has not had a lot of chances. Fellow sophomore Malik Dorton could push either of the two at their respective positions. USC will need more than just Gustin and Ruffin at defensive end; they will need a deep unit that can sub in often. Sophomore Rasheem Green has tremendous size and a high ceiling but is not proven. Five-star newcomer Oluwole Betiku should find his way into action. Betiku is already so good and has so much room to grow. He has played a few years of organized football and is still growing. He may need some time to adjust to the more physical and faster collegiate game, but Betiku has so much potential to become even better. Linebackers: The Trojans were not an easy team to run on last year, thanks in large to a linebacker corps that was all over the field. Unfortunately, USC will be without two impact 'backers from last season: Lamar Dawson and Anthony Sarao. Dawson was a good coverage linebacker, while Sarao will be sorely missed; he had 59 tackles and three sacks last year while being a vocal leader for the unit. The Trojans will turn to sophomore Cameron Smith as their next linebacker, and one of their better talents on their roster. Smith was extremely young and still learning the ropes at 'SC, appearing in just 10 games. However, Smith performed so well, with 78 total tackles, showing amazing tackling form with good instincts. While Pendergast will have less linebackers on the field, he'll ask more of them, with linebackers moving up to play hybrid end roles. That means that Smith, who has proven his versatility, should play a wide variety of roles in 2016. Senior Michael Hutchings and junior Olajuwon Tucker are going to fight for snaps alongside Smith. Hutchings is an experienced linebacker, but Tucker has a very high motor, and has more potential. Pendergast will switch things up and get different linebackers involved in interesting roles. Jordan Iosefa comes in as a afterthought to the rest of the recruiting class, but has great upside as three-star prospect. Iosefa hails from Hawaii, a good find for USC, considering how well Oregon and other Pac-12 programs have taken up the state. Hawaiian defenders aren't often represented in recruiting, and don't usually receive high ratings but often contribute in big ways. 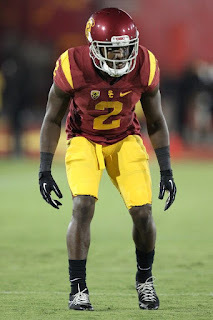 Secondary: Even with the loss of do-it-all safety/linebacker Su'a Cravens, the Trojans' secondary is probably the strength of their team. 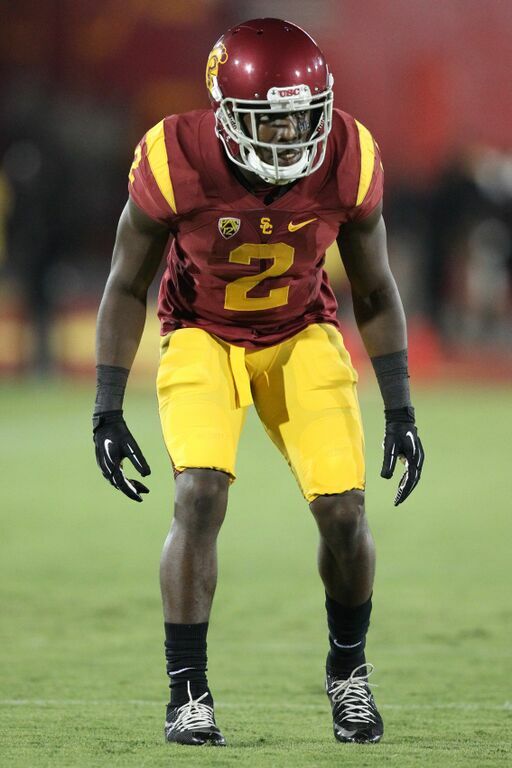 It begins with cornerback Adoree' Jackson, who is extremely talented at everything. Jackson earned All-Conference recognition last year after having numbers of 35 tackles, one pick and eight pass deflections. However, Jackson was focused more offensively a season ago, now defense should be his sole priority. He has incredible ball skills and has the athleticism to go toe to toe with any receiver. With improvements in different coverage packages, he could earn All-American honors. He will be joined at cornerback by the uber-talented sophomore Iman Marshall. Marshall was a big pickup for USC last year and showed he was the real deal, recording 67 tackles, three interceptions and nine pass deflections. Marshall showed that he was adept run support, while also becoming a lockdown at corner. Jackson is more of a playmaker, but Marshall is as skilled of a cornerback as you will find. Just a sophomore, he should improve in a big way this season. Five-star prospect Jack Jones is yet another big name in the Class of 2016, and he could be just as good as Marshall or Jackson. Jones comes from Long Beach, and while he doesn't have the size of Marshall or Jackson, has superb speed. He should find a way to get on the field this season. Even without Cravens, safety is pretty solid for USC as well. Junior Chris Hawkins quietly put together a big year for the Trojans last season. Hawkins had 70 tackles in 2016, and showed he could lay out some players. He is a pretty fearless defender, but still plays with discipline. Pendergast will be sure to allow Hawkins free roam, with Marshall and Jackson shutting down opponents on the perimeter. Junior John Plattenburg is probably going to play at strong safety, after showing great promise a year ago. Plattenburg had 34 tackles and picked off two passes, but should grow as a more complete defender this year. Special Teams: USC had good stability at kicker last year, as Alex Wood went 13 for 17 on field goals. However, Wood is leaving the program, while means that junior Matt Boermeester is likely to take over after seeing some action last year. Adoree' Jackson has the chance to do some wonderful things in the return game. Unlike the flashy hires of Lane Kiffin and Steve Sarkisan, Helton is a level-headed, good football coach that knows this team very well. The defense of a Pac-12 South crown will not be an easy task however. The Trojans get a non-conference slate of Alabama and Notre Dame, while also having to deal with North Division powers Stanford and Oregon. Not to mention, the South should be overall improved this year after a disappointing 2015. The Trojans will need Browne to step up and play smart football, while also getting big plays from Jones and Smith-Schuster. Defensively, they have the chance to be very good, particularly if Smith improves and Marshall and Jackson are as good as they can be. In a conference that isn't known for defense, that could help put USC over the edge. The path back to college football national supremacy has not been easy for the Trojans. 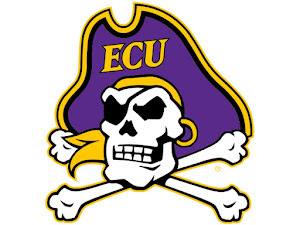 Sanctions continue to hurt them, although stability at head coach will obviously help in a big way. While some hopeful USC fans might hope for better, 10 wins and a return to the Pac-12 Championship Game would be a big success for Helton and the Trojans.